Have you ever heard of the California Office to Reform Education? Sounds pretty official right? Like it were AN ACTUAL GOVERNMENT AGENCY. Unfortunately, the California Office to Reform (CORE) is actually a private consulting firm, given control of millions of tax payer dollars to develop alternative accountability measures for 8 school districts across California, including Sacramento City Unified. This FOR-PROFIT Private Consulting group will have significant consequences for over a million students, hundreds of schools and dozens of low-income communities. Unfortunately, this outrage is a reality. 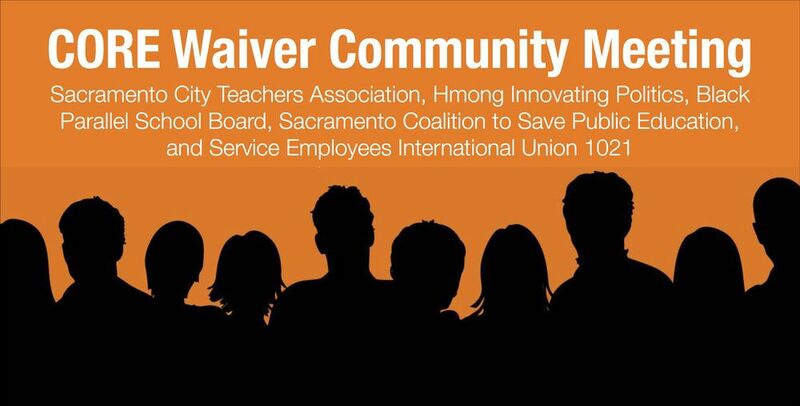 To educate the community and answer your questions, HIP is excited to be co-hosting a community forum with Sacramento City Teachers Association, Black Parallel School Board, Sacramento Coalition to Save Public Education, and Service Employees International Union 1021.